Eli Mina, M.Sc., P.R.P. is a Vancouver-based consultant, meeting facilitator, mentor and coach, and Registered Parliamentarian. 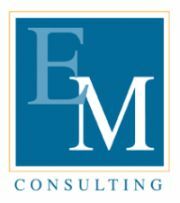 Since 1984, Eli has advised his clients on building better decision making teams, dealing with organizational disputes and dysfunctions, planning and running better meetings, demystifying the rules of order, and minute taking standards. Eli's clients come from local government, boards of education, aboriginal communities and organizations, regulatory bodies, and the non-profit sector. 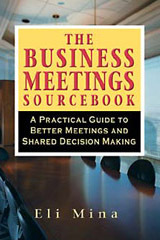 Eli is the author of four books on meetings and shared decision making. Orders will be shipped via regular post within three business days. If you require expedited delivery, please call CivicInfo BC at 250-383-4898 to arrange for a courier. Additional shipping fees apply. Please contact info@civicinfo.bc.ca if you have any technical issues when taking a course. Note: Please provide an address for delivery of this purchase. If you are purchasing a course please enter the details of the person taking the course. 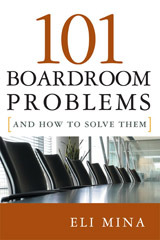 101 Boardroom Problems and How to Solve Them is based on the premise that boards must make knowledge based decisions and do so in a democratic and transparent manner. The book describes 101 boardroom problems that can erode a board's ability to achieve excellence in decision-making. It explains the damage each of the boardroom problems can inflict and provides proven tools to deal with it and prevent it from reoccuring. 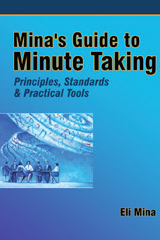 Mina's Guide to Minute Taking offers practical, systematic advice on how to handle the minute taking job with clarity and confidence. Whether you record minutes of an informal, formal, or closed (in-camera) meeting, the book offer principles, standards and practical tools to improve your minute taking. The e-course includes seven modules, to be completed within thirty days. The e-course is self paced and does not include any lectures. After purchasing and paying for the course, you will receive an email that provides you with an access to it. Start by downloading `Mina’s Guide to Minute Taking’ e-book and saving it on your computer or device. .
For each of the seven modules, listen to a recorded introduction by Eli Mina, then review the corresponding chapter in `Mina’s Guide to Minute Taking,’ then download the question sheet and work on them on your own, and then compare your replies with Eli’s replies. When you finish the seven modules, do the final quiz and compare your replies with Eli’s replies. Then, before your access expires, print your participation certificate. This book is a comprehensive guide to meetings and rules of order, containing many easy-to-use ideas, tools, and scripts that can help transform and boost the effectiveness of meetings. It can help make your meetings more productive, inclusive, dynamic, and even enjoyable. It also demystifies and humanizes the rules of order and helps you use them in a logical and "people-friendly" manner. It eliminates the focus on minor technicalities and replaces archaic and confusing language with plain English. This book is intended to assist corporate and civic leaders in planning and facilitating meetings and consensus building efforts. It is much more than a meetings book. A major portion of it shows you how to create a healthy foundation for your group's consensus building efforts. Once the foundation is set, the book gives you tools to respond to the many challenges of planning and running meetings. 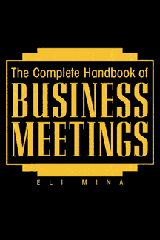 Welcome to Making Meetings Work on-line course. This suite of podcasts and tip sheets is designed to help you improve your skills as a meeting chair or member. Eli Mina, Meeting Mentor and Registered Parliamentarian, offers guidance and advice regarding all aspects of planning, conducting, and managing effective meetings. It is a must-listen for all new and experienced board, council and committee chairs and members. After you have purchased this course, you will have access to the content for one month. You may re-purchase the podcasts to extend your subscription.